The earliest elements of the present construction date to the fifteenth century. 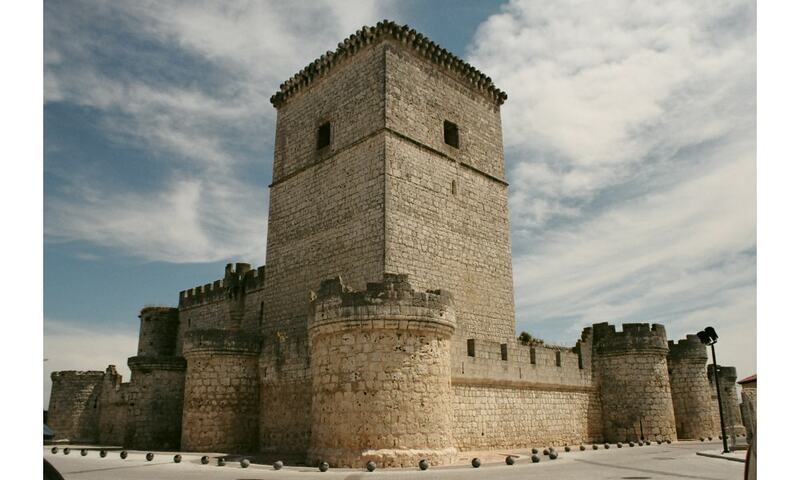 Nevertheless, the site has been fortified since the tenth century, when it is documented in connection with Moorish forays into the region, under Abd al-Rahman III. As the history indicates, Portilla is better known for the list of distinguished prisoners it has housed, than for being the site of battles or other events. Juan II of Castille was briefly imprisoned at Portillo in 1444 by the Conde de Castro, escaping by bribing one of his guardians. The chronicles also touch upon the fact that Don Enrique, brother of the admiral Don Fabrique y de Suero de Quinones (who fought at Paso Honroso) was jailed here for conspiring against the crown.